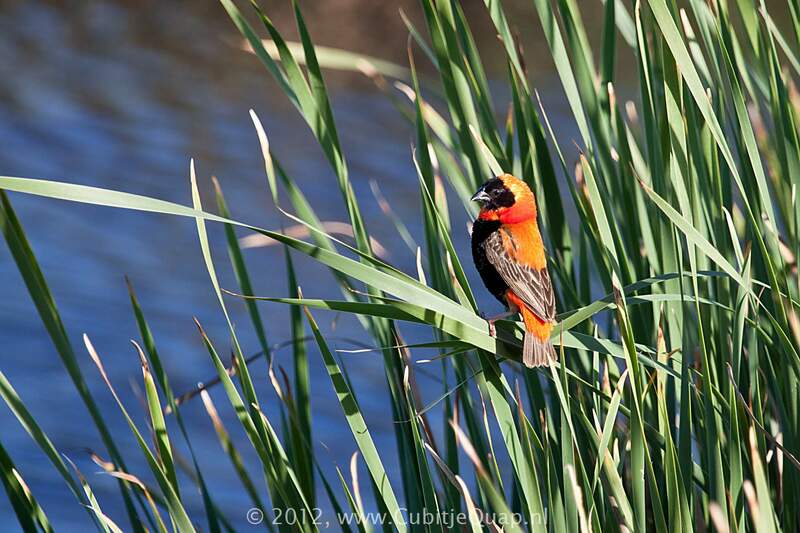 Breeding male is similar to Black-winged Bishop but differs in having a black forehead and brown (not black) primaries. 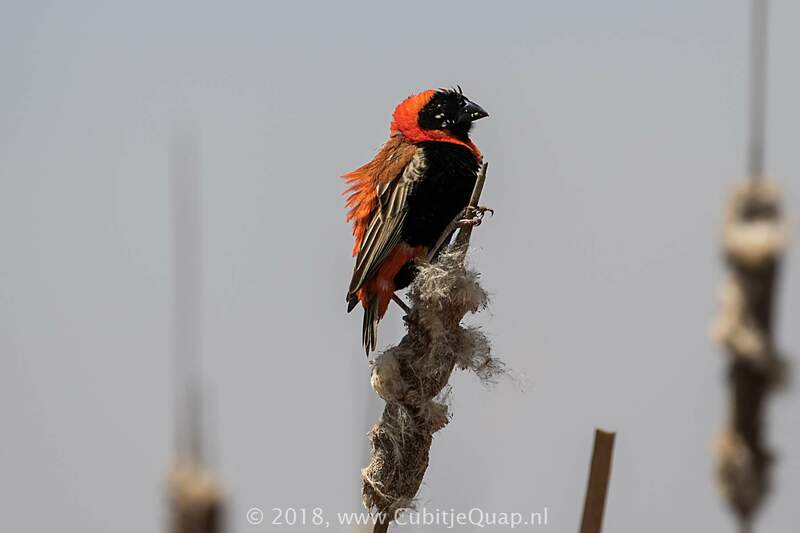 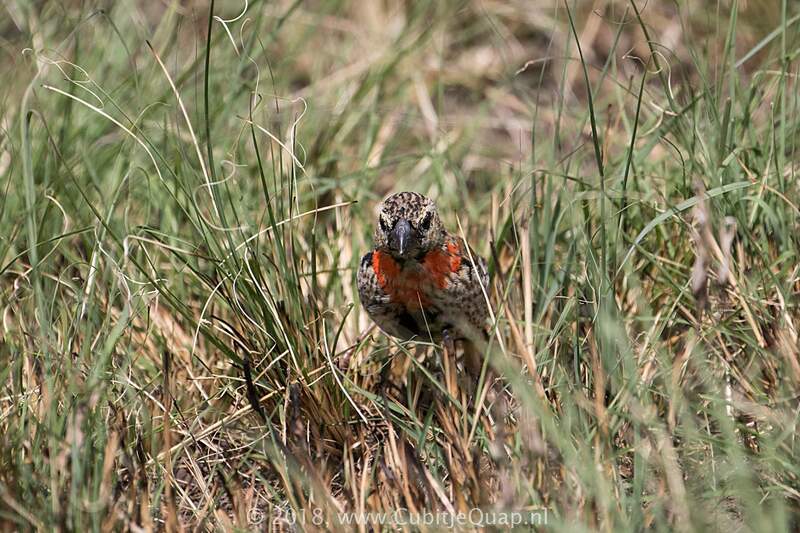 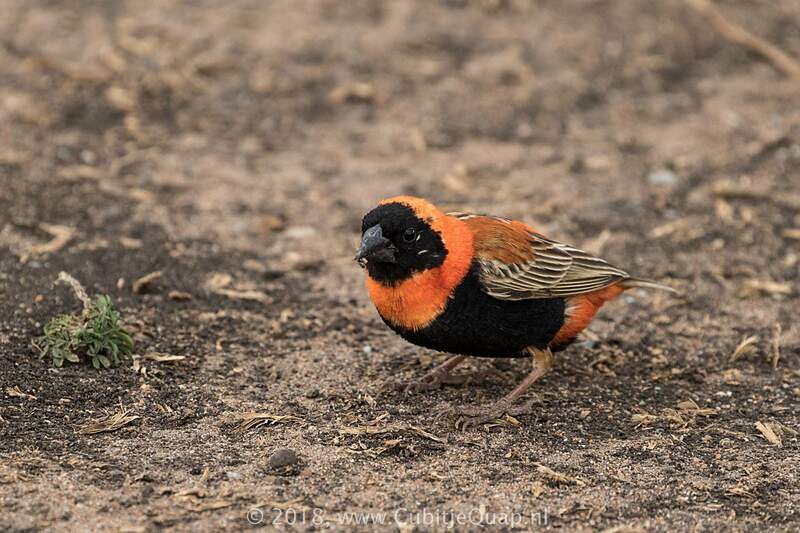 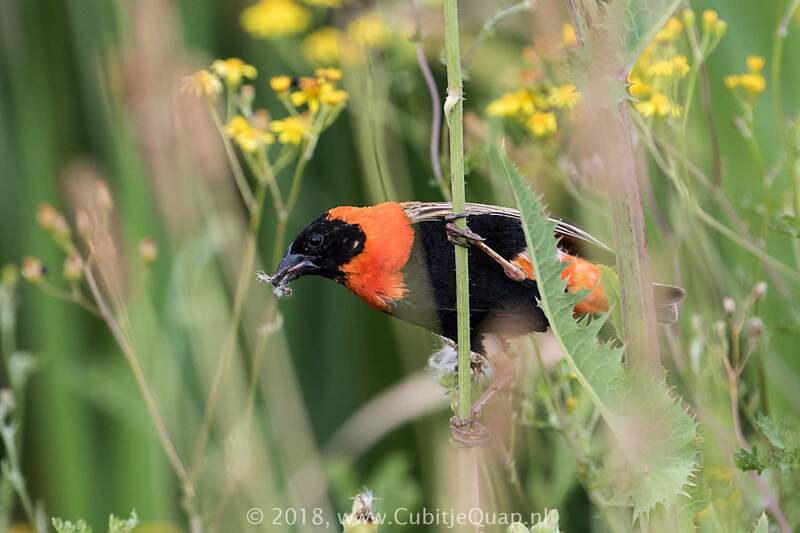 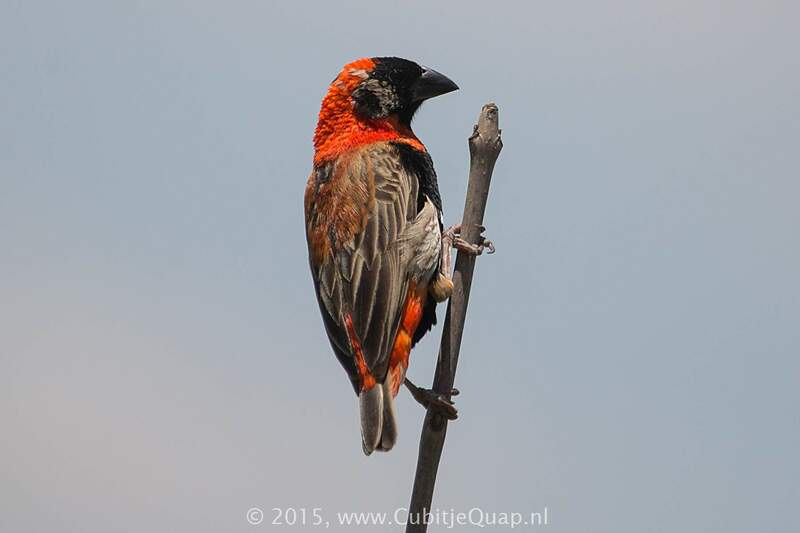 Female, non-breeding male and juvenile are difficult to distinguish from similar plumage stages of Yellow-crowned Bishop, but Southern Red Bishop has more heavily streaked underparts with a buff (not white) background colour. 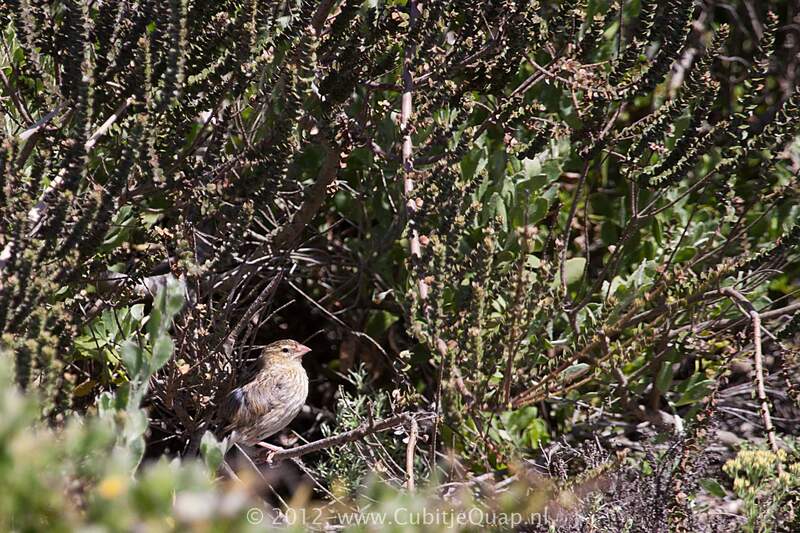 Grassland and savanna, usually associated with water. 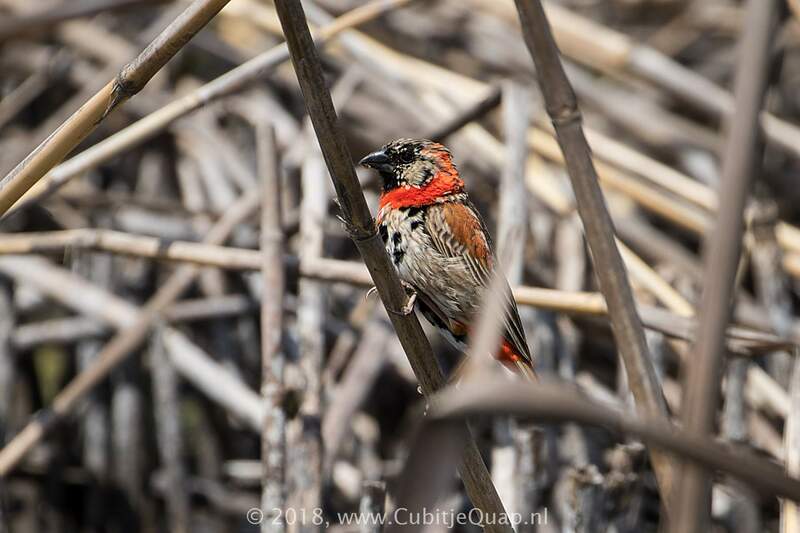 Breeds in reedbeds, sometimes in crops. 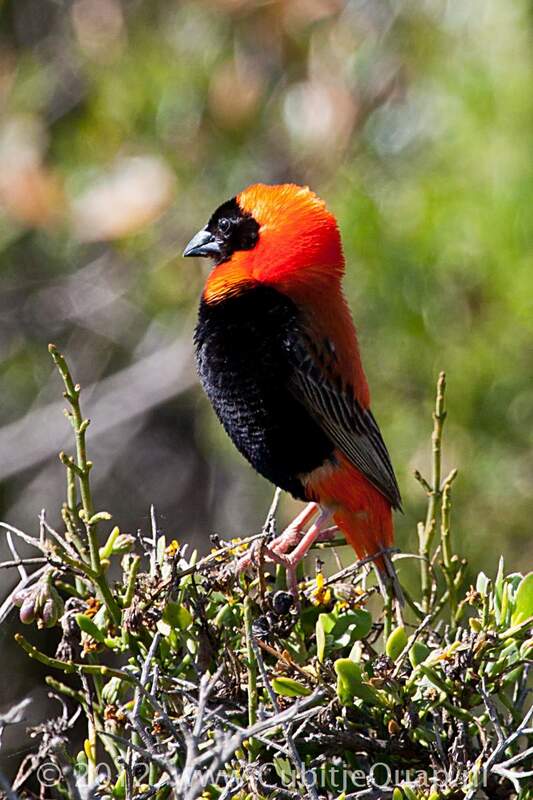 In display, males give a buzzing, chirping song; normal flight call is a 'cheet-cheet'.